The social offer of Olympiacos Piraeus FC and of the administrative leader of the team, Veggelis Marinakis, were referred during the much important Conference «Participation, Inclusion and Social Responsibility in Global Sports». The conference is organised by the Harvard University in collaboration with the Simmons College and it is sponsored by Vaggelis Marinakis. The opening took place at the Loeb house, one of the most historical building of Harvard. Olympiacos FC supports the Wheatherhead initiative about global history. 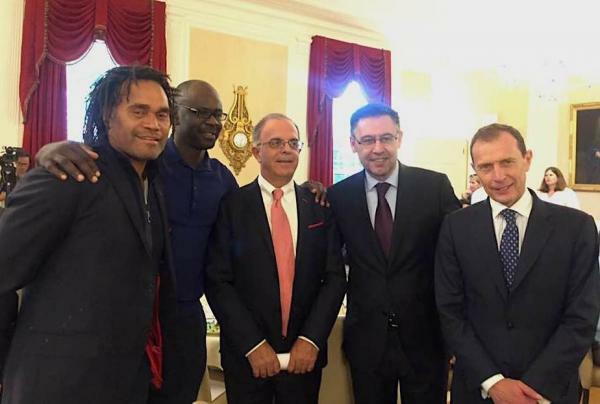 People from Barcelona FC, Real Madrid FC, the Seattle Sounders and the Boston red Sox were also there. 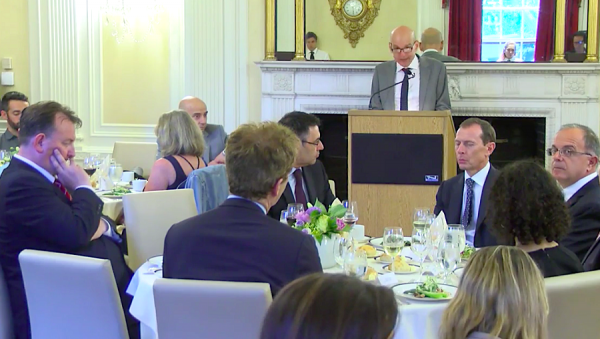 Steven Ortega, representing the Unicersity of Harvard, praised the social presence of Vaggelis Marinakis. In fact, he mentioned the philanthropic actions of Mr Marinakis, who is helping people in need on a daily basis. «There are many people that I would like to be referred to. First of all, I would like to thank our sponsor, Olympiacos FC and its president Vaggelis Marinakis. Thanks to them the Conference is happening. This event is unique due to the good work of the people of Olympiacos, such as are Kostas Vernikos, Kyriakos Dourekas and maria Sparalaki. This would be our third Conference about sports and globalisation. Olympiacos FC was also a sponsor to the first conference and enforced the last gathering that took place in Athens last September, so as the next one who is supposed to take place in here this week. «This Conference continues after the Athens Principle about the right of the participation in sports. 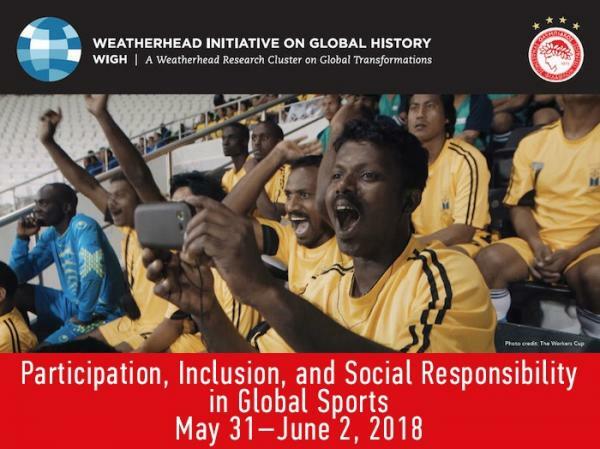 It is an initiative of the Weatherhead center in Harvard and of Olympiacos FC. The Principle was originally signed by Vaggelis Marinakis and ather clubs followed the exaple, such as Barcelona, Real Madrid, Fenerbahce, Lisbon Sportinh, the Euroleague and the AIPS. And tonight, by Nottingham Forest FC. At this very moment, clubs from China, India, Chile want to join us. Kostas Vernicos from Olympiacos FC, spoke about the initiatives of Vaggelis Marinakis. «It is a great honor to speak on Mr Vaggelis Marinakis’ behalf and of the red-and-white family in general to the participants of this Conference taking place for the third time. The first time it took place in to 2016 at Harvard, the second one took place in Greece, the cradle of culture ant the Olympic Games, on Acropolis’ shadow and the the «Georgios Karaiskakis» Stadium. Now, for the third time, we are lucky to gather up at Harvard. The Olympiacos FC family and the President Vaggelis Marinakis are used to pioneering, when it comes to social actions and solidarity, to our fellow human beings. With the vision of changing the world, Olympiacos is one of the greater supporters to that, following the path opened by Barcelona with the UNICEF, saving hundreds of thousands children’s lives globally threw injection programs. Olympiacos was also next to refugees who approached Piraeus, offering food and clothing, during a harsh time for them, but also for the city of Piraeus. Olympiacos was also the first club of the football community to organise the 8th game against poverty and to raise help for the millions of people who were hit by the Haiti earthquake and floods in Pakistan. Olympiacos was also there to support the people oh Kefalonia, which is an amazing island that came down of the earthquake and there after the destroying flood in Mandra, Attica last winter Vaggelis Marinakis was present again, giving a simple but important direction; Olympiacos has to face the problem and to offer relief, at any cost. But using actions, not words. «You have to be careful when a lawyer signs a paper (laughter). I am so sorry that my life is hard, without Hardard education (laughter). It’ s a great pleasure for me. For those of you that wonder about Nottingham Forest, I would like to say that 40 years ago we were the Champions of England and ago 38 and 39 years we won the European Cup! So, about that time we had more european awards than Barcelona (laughter). And the days of glory are about to come back under the guidance of Vaggelis Marinakis, I am sure. It is a great pleasure for me to be here. Someone much cleverer than me once said that the evil only needs good people to be idle in order to triumph. And right now, this is great, the fact that good people gather here and show their solidarity, agreeing with the Principle of Athens, recognizing all of them the great power of Sports». The opening of the referendum was completed with the speech of Josep Bartomeu, the president of Barcelona FC. Τhe documentary The Workers Cup was also projected.